A compilation of engrossing facts and anecdotes vitalized by author Eric Sloane's own pen, this book captures the living legacy of America as seen in "the things that were." According to Sloane, American Yesterday explores "our national attic of vanishing ways and obsolete occupations." Impressed by the artistry and sturdy realism of pioneer builders, he takes genuine delight in exploring the unique careers of barber-surgeons, dowsers, tithingmen, sawyers, nailers, plumbum-men, and a great variety of artisans, illustrating the activities, customs, and things created by the people who made their living in "antique ways." Sloane, a devoted student of early Americana, speaks lovingly of the people who spent much of their lives creating wardrobe closets, foot stoves, church pew armrests, grindstones, featherbed patter paddles, charcoal burners, English phaetons, giant hogsheads, drovers' sleighs, windowsill sundials, and other items of long ago. Credited with "doing gallant service, preserving records of the ways and the means of the forefathers who got along well with the resources now long forgotten" (Springfield Republican), Eric Sloane has written an immensely enjoyable book that will enchant anyone who takes pleasure in reading about the past and views its artifacts as part of a rich national heritage. "doing gallant service, preserving records of the ways and the means of the forefathers who got along well with the resources now long forgotten." A journey back in time when America was young and people did more things for themselves. Back when farmers were every where and people knew where their food came from.Life in colonial times was harder but was actually a better life. The wonderful era of hand tools and the age of American craftsmanship. An absolute joy for the history buff. I included this book in my mom's xmas pkg and she was thrilled. She enjoys this series of Eric Sloan books so much more than TV. Nice plates, good for children and adults, not pithy, but illustrative. enjoyed this book and I enjoy all of Eric Sloanes' books. Fascinating reading. Can't get enough of Sloan's books. 5.0 out of 5 starsFantastic treasure. I love this book! So much information packed in, so easily read. Not as elementary, but easy to follow. 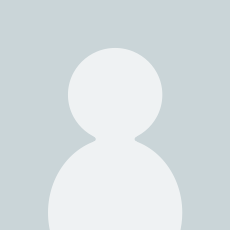 Great drawings, really amazing.Learned a lot . Highly recommend. It was sold as 3 volumes in a slip cover ... I received only one ... is there any recourse that can be made so I receive the missing two? I feel I was cheated! Will never again buy anything from this seller. Folks, these books by Eric Sloane are a wealth of information at such a reasonably low price. If you are interested in the way our ancestors lived, or just have a want in knowing about the daily lives of average Americans from the late 1700's through the early 1900's then these series of books by Mr. Sloane are what you are looking for. 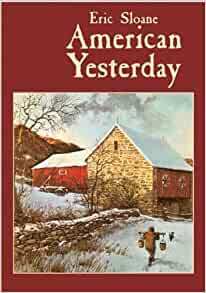 In "American Yesterday," Mr. Sloane explores the church, home, town, and occupations of the above stated time period. In particular, he writes of the details that many historians never seem to think of. For one small example, in the chapter about the church, descriptions of the pews that those from the past sat in are given in great detail. He also describes what a typical Sunday sevice was like, from the tolling of the church bells to seating arrangements to heating (or lack of, as the case may be). The homes that our ancestors lived in are given equal time as well. He goes into detail in describing the differences between city and rural (or farm) houses. He tells of clapboards, hipping joints, lean-to's, and braces, as well as the different stylings and shapes of the homes. Full descriptions of furniture are given, from pine-rockers to bedsteps to dressers to tubs to cradles. The pantry and its use is explained in great detail, as is the cellar. Next we head into town, and not even many living history museums can show what it was like in comparison with Mr. Sloane's descriptions. From traveling the distance to the village (over the rough roads, through a covered bridge, etc.) to the sights and sounds of the village - it's all here, and written in a way that one can envision with all their senses what it was like. Even a history of streets is given! The section on occupations gives the reader the knowledge that not everyone was a farmer or merchant in the old days. Ice cutters, grindstone workers, sandwich sign men, loggers, wrights (wheel, mill, carriage, etc. ), blacksmiths - so many jobs that no longer exist, for better or worse, because of modern technology. I find interesting the comparisons from yesterday to today that are interspersed through out the text. Eric Sloane's books are easy to read and fully illustrated by his own sketches. If you want to know in detail of times past then you cannot go wrong in purchasing any of Mr. Sloane's books.